Are you living in Seattle and still using manual garage door that you have to open and close each time your come home, or leave your house? You’d be surprised at how many are still living this way. Many people just haven’t prioritized this upgrade for their personal convenience, but we’re just going to be blunt here: you should definitely get with the times and use an electric garage door opener. Your going to love the benefits of this fast upgrade. There have been major advancements in electric garage doors in the past few years. This could mean tons of features for you that outweigh the expense and the headaches of manual garage doors. We wanted to highlight a few of these features for you here, because now is the time to consider upgrading this main entry point to your home. 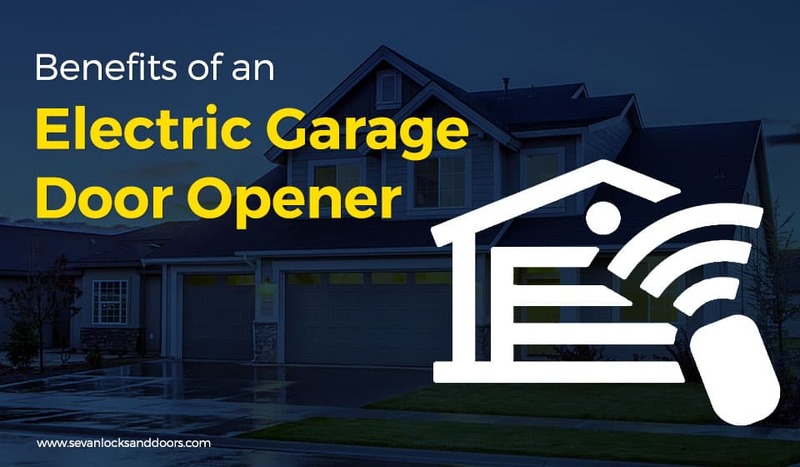 Here are just some of the features electric garage door openers provide. The main point of an electric garage door is obviously being able to say the magic words, pressing the little button inside your vehicle, and being able to see your garage door opening, slowly and quietly, while not having to step outside of your vehicle. This is obviously a primary goal for an assortment of reasons, one of which being the temperamental and unpredictable Seattle weather. If you’re coming home from the grocery store with a car full of groceries to transport, do you really want to get out of your car in a torrential downpour to let yourself into your home? Research and development has come along way from the first automatic garage door opener. No more of waking up the whole house or having the dog bark in fear, from the garage grinding its gear trying to lift itself up. Nowadays, these mechanisms are so quiet they barely break the DB levels and can keep the house sane from less noise. Having a keyless or keypad entry that you enter in a code to open your garage can be a huge asset. Both are great for letting people inside your home (if your fire door is unlocked) or inside the garage to perform a task – your lawn service can enter the code when they arrive to mow the lawn, a housekeeper can let herself in quietly to clean your house, or a friend can swing by to borrow the car if you’re not home. All you have to do is provide them with a code. Some systems even let you set temporary codes for guests so you don’t have to worry about the security risks of sharing your main code. Have an Android or iPhone? You can actually be a wizard and use an app like Gogogate2 to create a recipe with IFTTT to open and close your garage when you arrive home. Think of your phone as a tracker. Once you get close enough, your phone sends a signal to your garage door to open up. Cool, right? It’s like entering the mothership in Independence Day. The only problem to upgrading to an electric garage door opener is having to actually install it. But, you’re in luck. If you don’t want to go through the woes of a DIY approach, Sevan Locks & Doors would be happy to help install your next garage door, upgrade you from manual to electric, and leave all the headache out of it entirely. Call us today to find out how we can help!